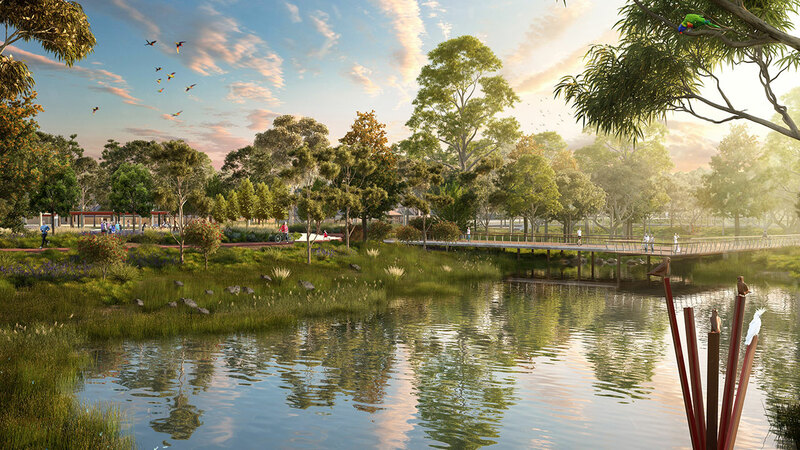 Tract was engaged by RBG Services Group to provide Town Planning, Landscape Architecture and 3D Visualisation Services for the Waterlea development, a new master planned community, located next to the historic township of Walloon, just west of Ipswich CBD. 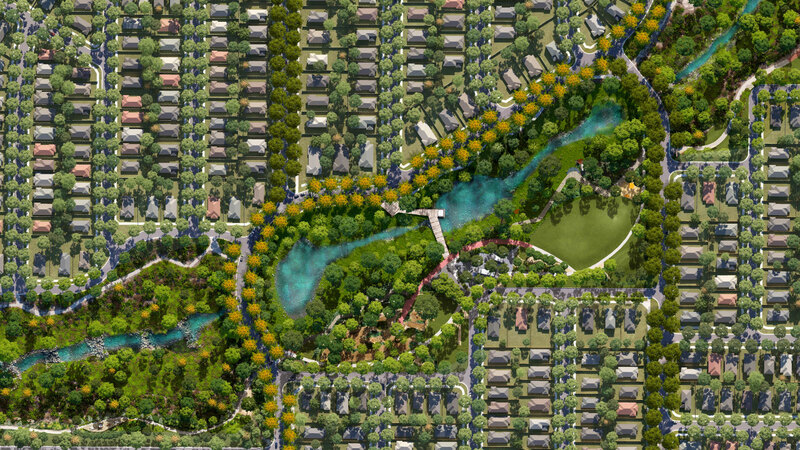 The development features a central landscaped waterway traversing centrally through the site offering a key asset to the development in terms of recreational open space and natural amenity as well as rare opportunities to enhance the environmental outcomes for the corridor. Tracts Media team worked closely with the project team which included Martins Design Agency and Oliver Hume Real Estate to create a series of accurate 3D Visualisations to demonstrate the highly landscaped masterplan and key open spaces. 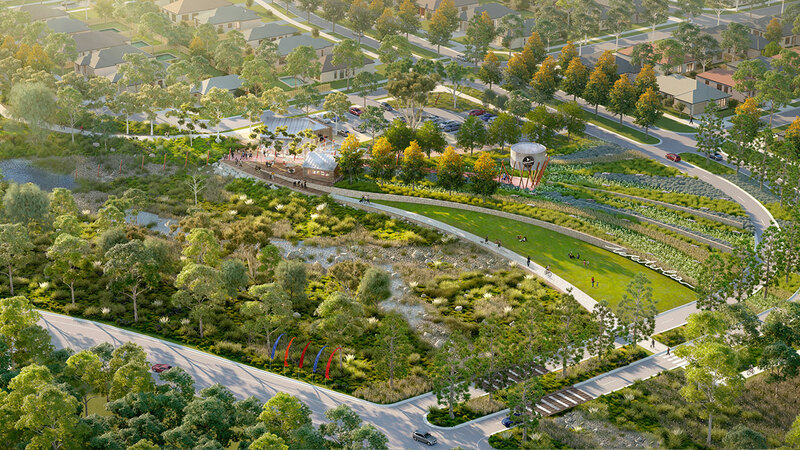 Tracts 3D package consists of a series of still images of the dramatic landscaped entry boulevard, a naturalistic district park scene and a local park incorporating a playspace. A series of 3d animated scenes were produced and incorporated into a highly compelling brand movie produced by Martins featured on Waterlea website. A high resolution 3D masterplan was used as the base for an Interactive Map produced by Mapovis and an on-site georeferenced iPad experience. The Waterlea estate has received wide media attention and was featured on the Channel 7 News and Channel 9 News in Queensland when it was launched on November 4th 2016.